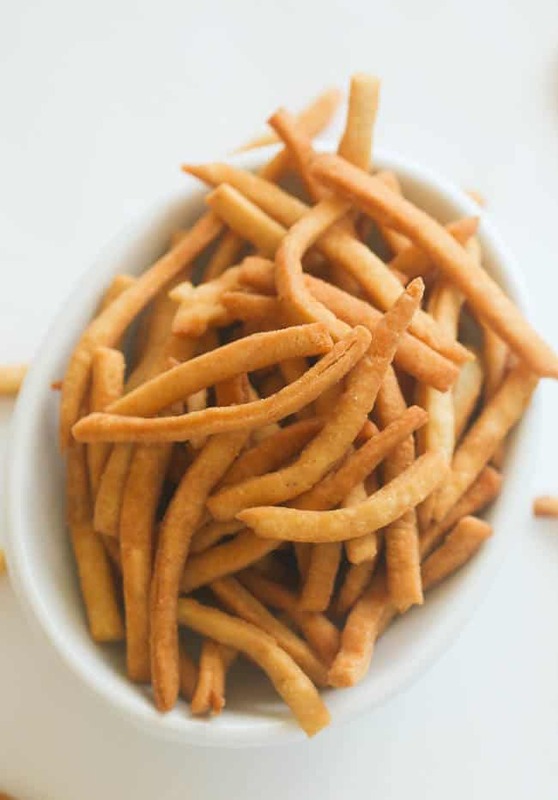 Chin Chin – West African Fried pastry enjoyed throughout the region especially in Nigeria- Crispy Crunchy and Addictive. 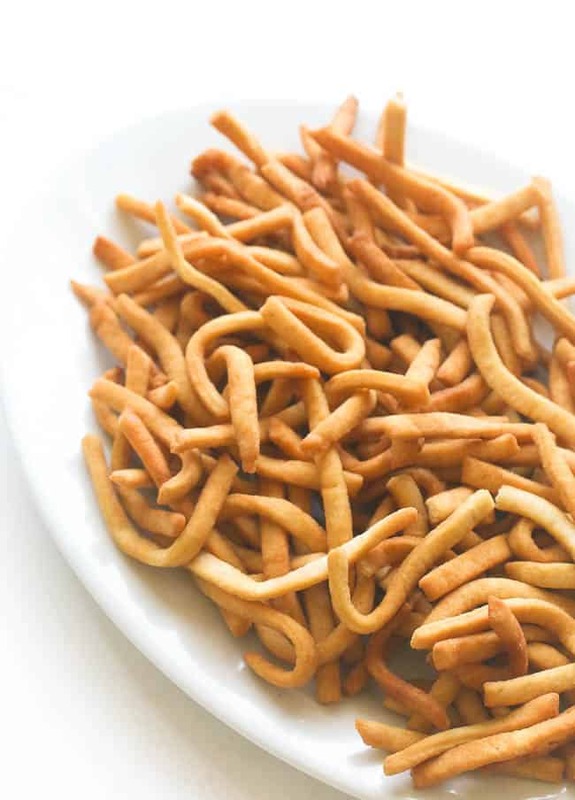 Chin chin is my all time favorite snack -it tastes so good , yet so bad for you .It is a scrumptious fried pastry made in various ways. 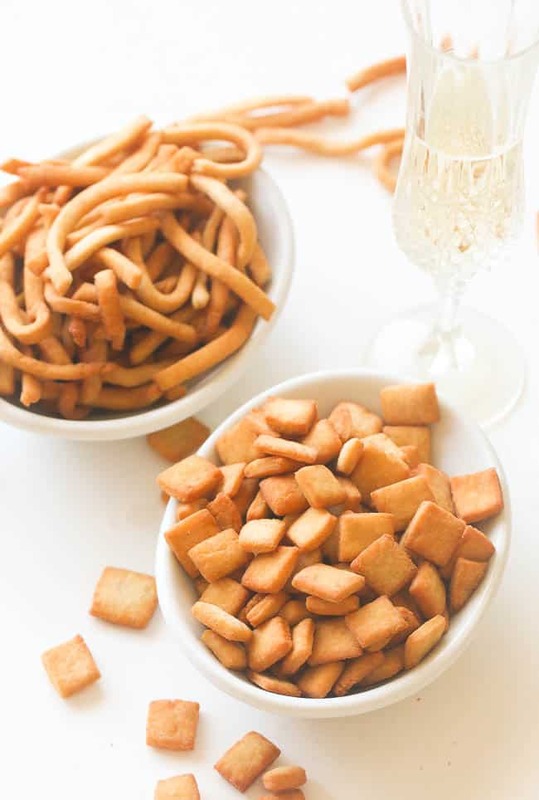 Throughout West Africa and Nigeria Chin Chin originally was prepared for special occasions. 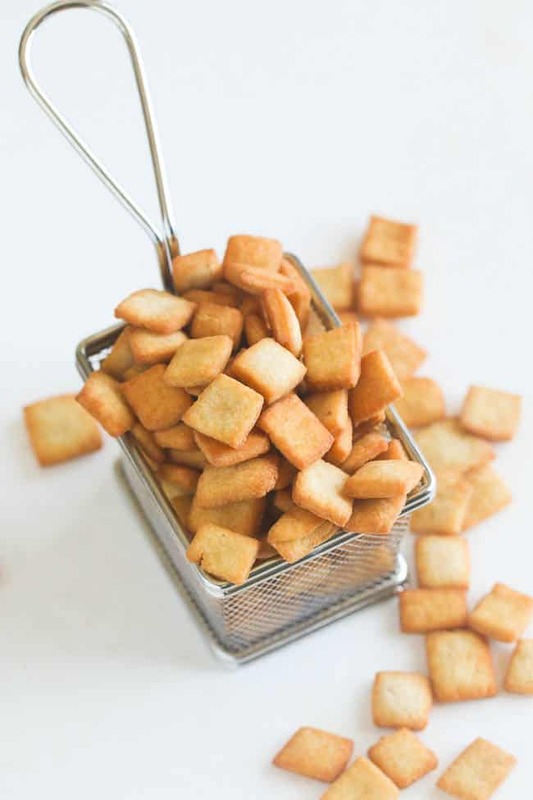 It has evolved from a special occasion food to being a snack food, sold on street corners, kiosk and supermarkets. 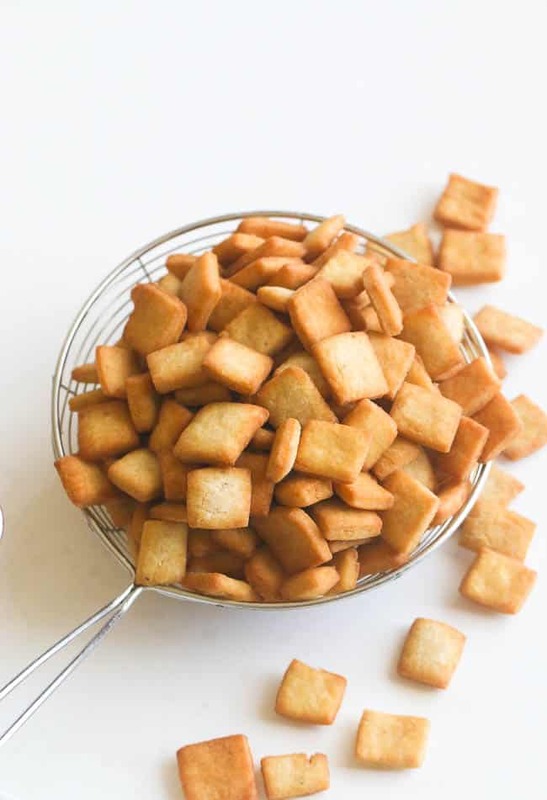 Growing up, it was customary at most homes in Cameroon, to make this delicious snack during the Christmas season. Each home has its own variation: some soft to the point of falling apart, others so hard that after a couple of bites you feel like your teeth would break. 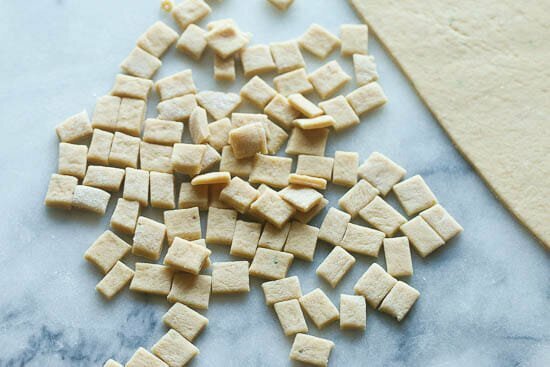 Some shaped like small balls; others kneaded and cut into small 1 inch squares. The overall experience of slowly feasting on chin-chin is immeasurable…..I never got tired of trying all the different variations of Chin-Chin. Even at this ripe old age I still love it , the only issue is, “once I pop I cannot stop”. On one occasion I had to hide it in the trunk of my car. Well, that was a little extreme, but I had to. It is so addictive!! The ingredients for this recipe are: butter, sugar, eggs and flour and some sort of seasoning. 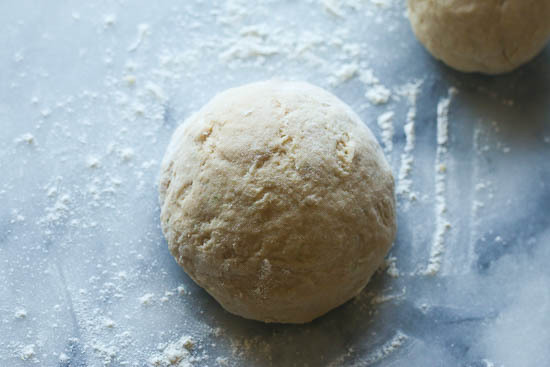 Although the thought of making chin- chin dough can be a little intimidating, this recipe is surprisingly simple and straightforward. You can shape this however you like. They take no longer to make than any other cookie, and the most time consuming part is probably the frying. If you like your chin soft then add more butter – 1 or 2 Tablespoons more . Be careful not to use too much butter . If not your chin chin is going to crumble. 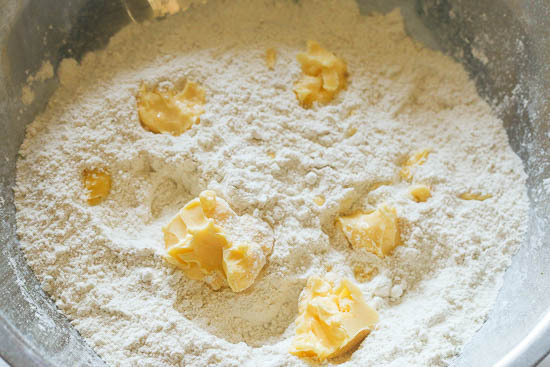 Add the butter to the flour and mix well until the butter is well incorporated with the flour. 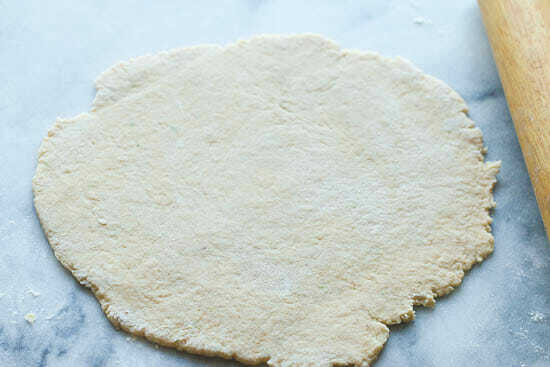 Divide dough in half .On a floured board roll each half about 1/6 inches thick. Just like linguine or fettuccine. You can make it easy by using a pasta machine if you have one available. Make shapes as desired. Add oil (about 3 inches deep) to a heated skillet/sauce pan or my all time favorite Dutch oven that is over medium heat and bring it to 375 degrees . 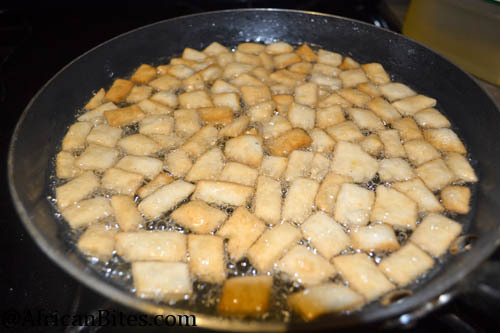 Fry in hot oil until golden .Remove from oil, drain, and serve. You can store this in an air tight container for up to a month. For this recipe , I used a standard measuring cup( leveled ). I also used standard measuring spoons. 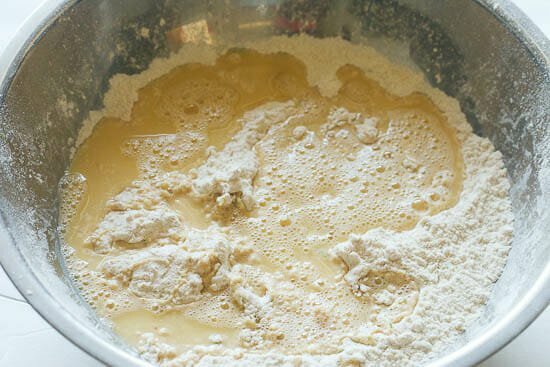 Hi…thanks for your recipe…I have had issues with excess foaming when I’m frying chin chin…ant suggestions on how to reduce or completely eliminate this? 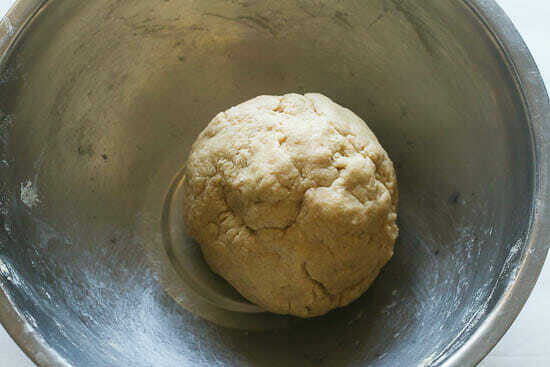 Hi Dapo, Dough mixer is best. Thanks for the recipe, I will be grateful if I have the measurement in KG. Yes it can. Most milk would do just fine. Aww, that’s so sweet of you Liz. Thanks for taking time out to let me know. Im a new follower of your blog. 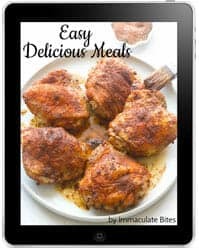 Ive been bookmarking recipes of yours and have been trying to pluck up the courage to actually attempt one of your recipes. As ive got a major sweet tooth i thought the first recipe id try of yours is the chin-chin. Omg. It turned out absolutely immaculate. Hehe. Honestly i cant keep my hands off and keep finding myself walking to the kitchen to snack on them. Theyre perfect for me crunchy but with a slight little give. But my husband prefers tooth breaking worthy style chinchin. Do i omit the butter completely to achieve this or is it just the case of adding 1tbl spoon only? I found that as the recipe is (4 tbl spoons butter) you can achieve a greater crunch by a) leaving the cut up chin chin out dusted with a bit of flour before you fry them b) cutting the chin chin in smaller pieces c) fry them at a lower temp 170°c and then pop them in oven at 250°c for 3-5 minutes (watching constantly) gave them a bit more of a crunch too. Love to hear some advice from you and cannot wait to start my adventure on cooking your delicious looking recipes over the year. Welcome on board ! I would say cut down the butter to 1- 2 tablespoons chin chin. 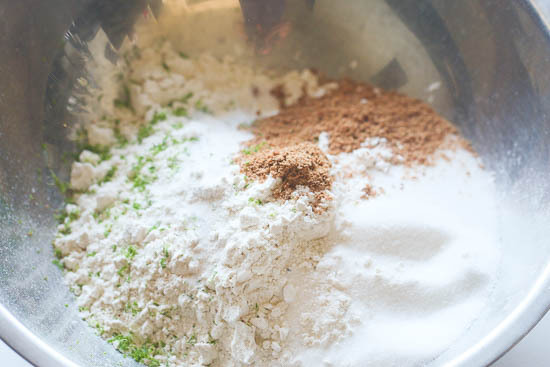 Start with one tablespoon and go from there, until you reach desired hardness. Also add more flour as you roll it out also hardens it up. Do let me know how it works out for you. So happy to have another sweet tooth gal- chin chin is addictive!!! Here is the recipe https://www.africanbites.com/scotch-eggsbaked-or-fried/. Enjoy!!! All of the above sounds great. I have also tried almond extract , cinnamon, cardamon spice, pineapple extract – the possibility are endless. It all depends on your taste buds. Play with its Girl! Thanks for following me along this delicious journey. God bless!! HI Imma! 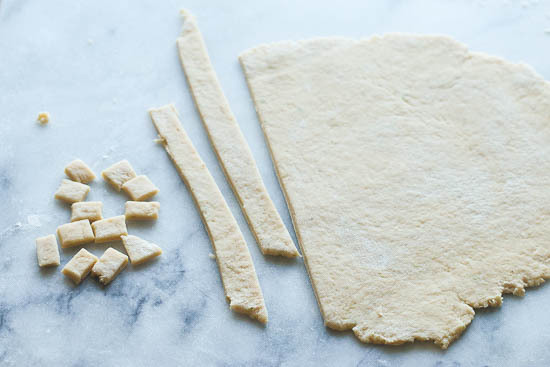 what causes the dough to break after mixing all ingredients? what’s the best remedy for it? Hi, Rachel. It’s hard to pinpoint the exact cause as it works fine on my end following this recipe to a “T”. But it may have to do with adding too much butter as it usually causes the chin chin to crumble. Hi Immaculate! I must confess that your recipe is wonderful. But what should I do to stop the level of oil going down fast. I discoverd that oil use to go down quickly after few number of frying though I fry with high heat from start to finish. It is eating my profit. If the chin chin is too rich it happens. Cut down on the butter – you might have to adjust other ingredients. Best of Luck!!! Hi Imma , I’m just about to use this recipe but do I need to use oil? Can I bake mychin-chin in an Oven ? Hi Esther , It would not have the same texture . It’s best fried. Hi Rachel! You really don’t need to in this recipe. Some recipes do call for it , it all depends on the ingredients and what texture you are trying to achieve. Wishing you all the best !!! Hello ma’am. Please I’d want to know if the lime zest appear on the dough when done ? I’m making these tomorrow!!! So excited Thank you for the recipe! Immaculate please how do i make the chinchin a little bit hard? I am in love with your recipes. Hi, Geraldine. If you prefer the harder chin-chin, then do not add the baking powder and egg. And try to add more flour to the dough get a firmer consistency. Please let me know how it turns out for you. Enjoy! Hello , thank you for the wonderful recipe. How long can you keep chin chin for without it going bad? If you seal tightly it would last for a couple of weeks. It usually don’t last more than a week in my household. Jambo. I have had 1 variety of chin chin. What kind of west African dessert? Hi Brent! 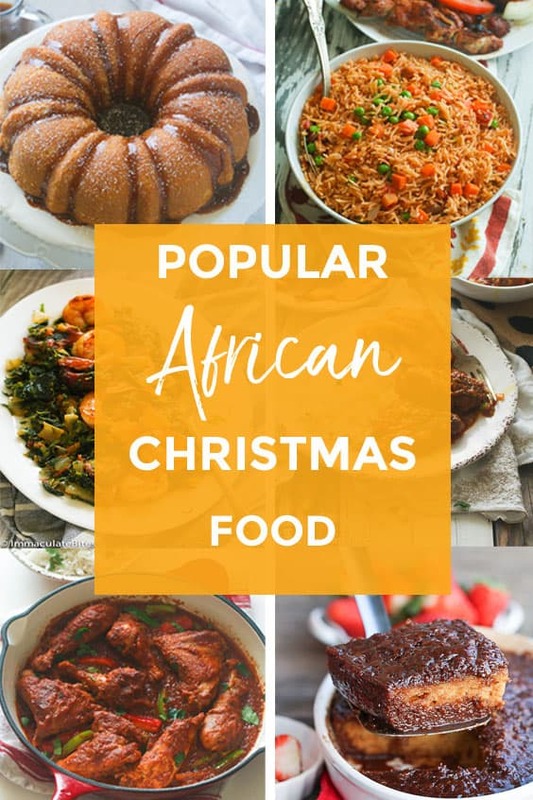 Do you want to know more about African dessert ? 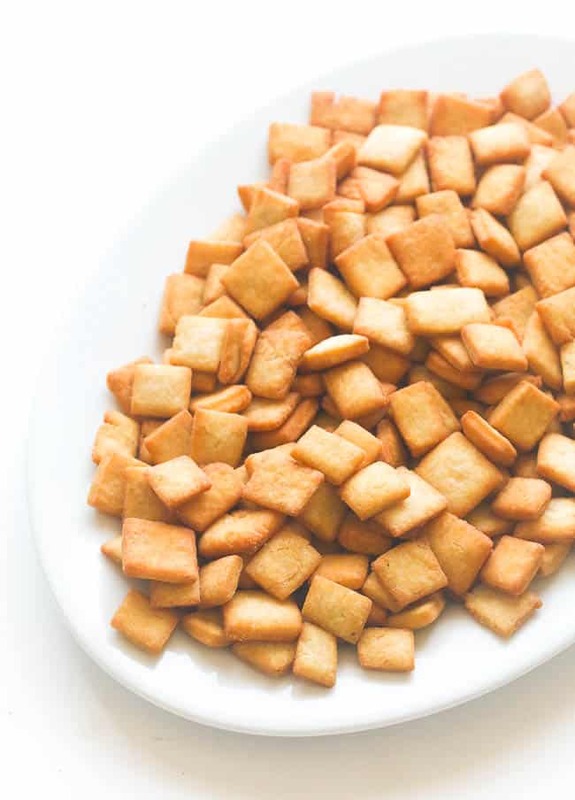 Best African dough crunches (Chin Chin). But I’m allergic to gluten. Thanks for sharing this. When ever am looking for a recipe, I always run here cause I know I will get what I really wanted. Thumbs up Immaculate. Making it for a customer I know she will love it. Thanks a lot. Am so happy to hear this! Good to know the recipes are working out for you. Please can i add sodium bicarbonate? I have not tried this with sodium bicarbonate. So I can’t say for sure. I giv u thumbs up. 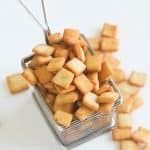 Immaculate bites recipes ar d bomb. Just wntd tryin out somtin nice for my picky eater daughter. Stormd across ur recipe. Followd it wt halved measurmnt. My daughtr culdnt resist it. She ate nd was filled. Husby too kpt commentin dt d taste is soo great. Finally,i can say i got chinchin right. Cant wait for sch to resum,wil make in batches as her snack. Though,wil try to reduce d sugar abit cos twas a littl on d high side for me,bt d little one sees it just ok for her. Kp d good works up…bin a keen follower of ur recipes,bt ds is d first i wil try out nd glad i wasnt dissapointd. Awesome! Glad to hear it was a hit in your household. Thanks for taking the time to share this with me.